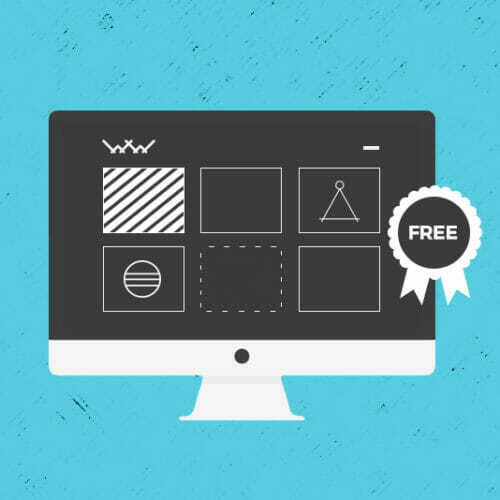 Get dozens of resources, plus expert tips on how to build a KILLER portfolio even if you're an absolute beginner. Freelancing is a fantastic starting point when you’re getting into tech. 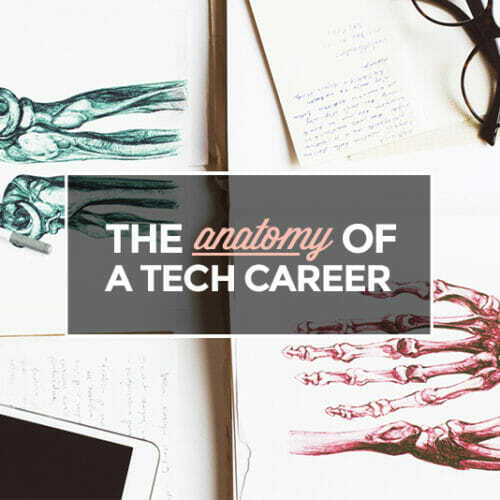 You can figure out what kind of tech career is right for you before you quit your day job, and even then, you can either use all that amazing experience you got freelancing to land a full-time (flexible! remote!) job or you can keep on freelancing and be your own boss permanently. 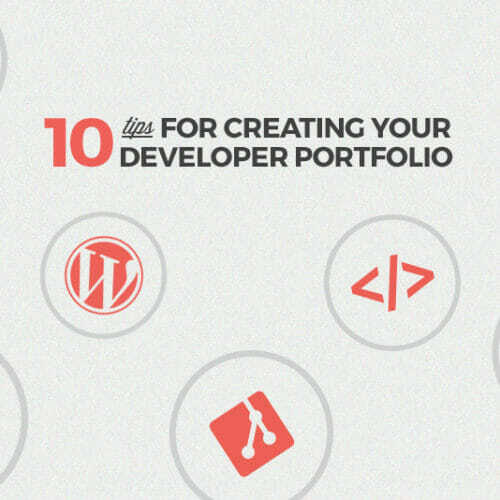 Regardless of which career path you choose, there’s one thing that’s an absolute must-have: A stellar portfolio. One that shows off your amazing design or dev skills as well as what sets you apart from all the other amazing designers and developers out there. An employer—whether they’re looking to hire you permanently or for just one project—is going to insist on seeing examples of the work you’ve done. And while you can send them a list of links to your work, you’re way better off putting everything into a portfolio that tells your story the way you want it told. 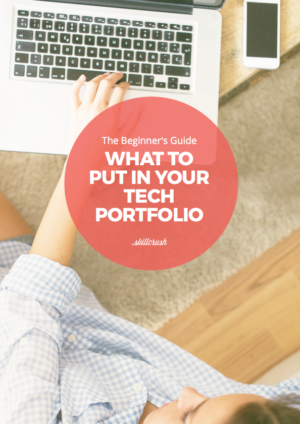 But figuring out what to actually put in your first tech portfolio can get a little overwhelming. Like, what if you don’t have that many (or any) real projects? What if you’re not super into all the work you’ve done (totally normal—every new designer or developer has some not-so-pretty beginner projects hidden away somewhere)? 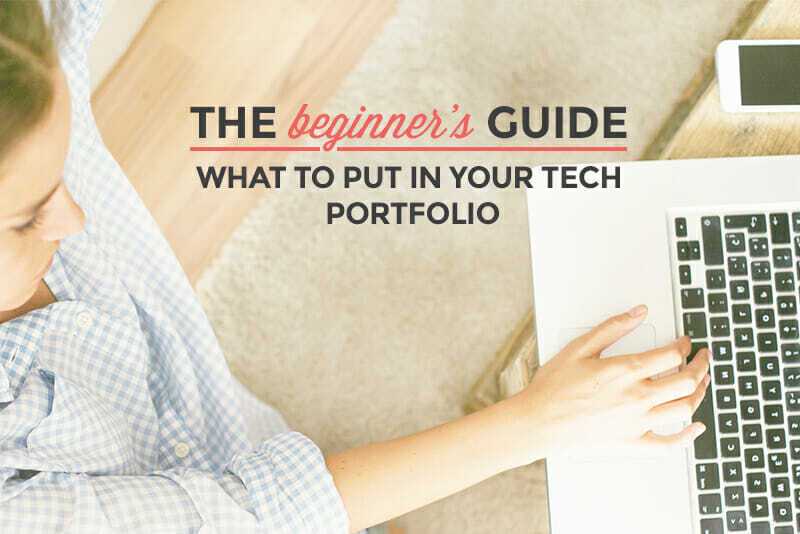 Good news: The Beginner’s Guide to What to Put In Your Tech Portfolio will give you tons of ideas for creating your first tech portfolio. 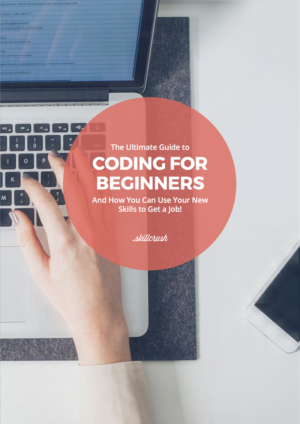 If you’re unsure of how to build your first tech portfolio and what it should include, check out the free guide for all the information you’ll need to figure it out. 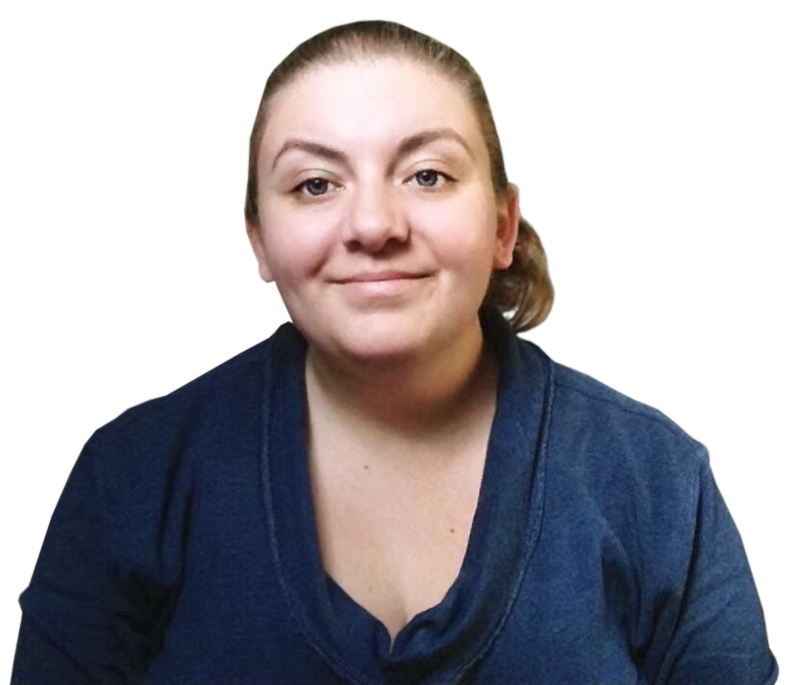 Cameron is a staff writer here at Skillcrush, and spends most of her time writing and editing blog posts and Ultimate Guides. She's been a freelance writer, editor, and author for going on a decade, writing for some of the world's leading web design and tech blogs. When she's not writing about design, she spends her time writing screenplays and making films (and music videos for rock and metal bands!) in Vermont's Northeast Kingdom. Prev: Showcase Your Skills With These 15 Free Portfolio Templates Next: Stop Worrying and Start Focusing on What Really Matters! 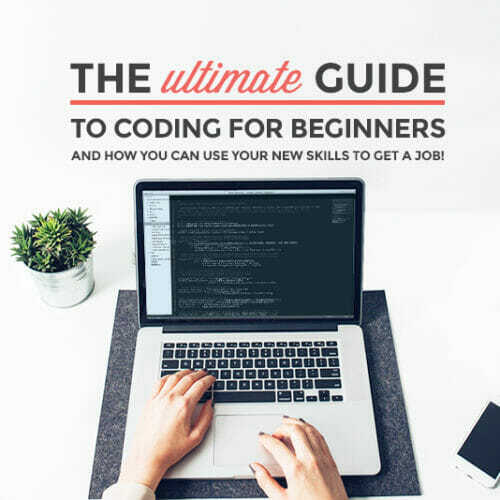 How to Get a Tech Job and Start Moving Up, Plus a Free Ebook!